Co. Cavan: Arvagh, Ballyconnell (2), Ballyhaise (2), Ballymachugh, Bellintemple, Belturbet (2), Butlersbridge, Cavan (3), Crossdoney, Crosskeys, Denn, Derrylane, Drumlane (2), Kilconny (2), Kildallan, Kill, Killashandra, Killycrone, Killykeen, Kilualeck, Newsun, Redhills, Stradone. The Board also included 10 ex officio Guardians, making a total of 40. The Guardians met each week on Tusday. 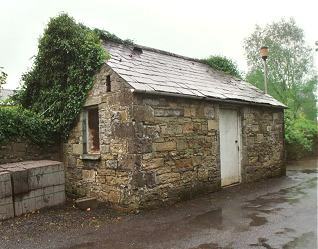 The population falling within the Union at the 1831 census had been 83,604 with Divisions ranging in size from Kildallan (population 2,211) to Cavan itself (7,030). The new workhouse, built in 1841-2, was designed by George Wilkinson. 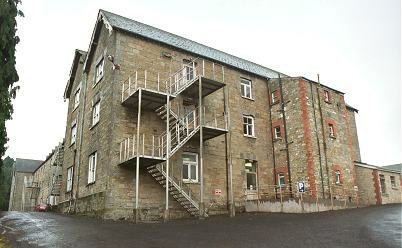 It occupied a nine-acre site a mile to the north of CavCavan town. It could accommodate 1,200 inmates, making it Ulster's largest workhouse. 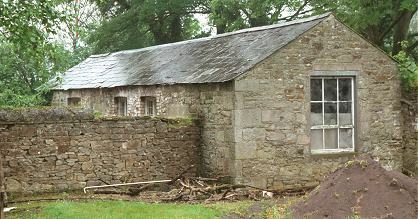 The cost of the building was £10,500 plus £2,000 for fixtures and fittings etc. It was declared fit for the admission of paupers on 26th March 1842, and admitted its first inmates just under three months later on the 17th June. The workhouse location and layout are shown on the 1912 map below. The workhouse followed one of Wilkinson's standard designs, with a front block housing receiving rooms on the ground floor and a board-room on the first floor. A three-storey central block housed dormitories, school rooms, day rooms, kitchen and food serving rooms, and a chapel. A central spine containing the chapel linked to the rearmost block which housed the two-storey workhouse infirmary. A small mortuary was located at the east of the site. During the famine in the mid-1840s, accommodation was provided for 40 convalescent patients in sheds. Fever patients were originally catered for by appropriating the idiot and probationary wards. 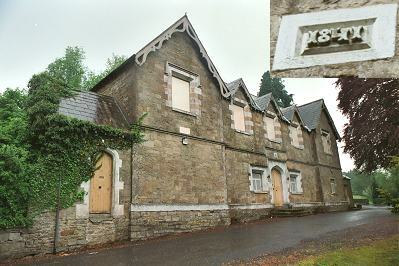 In 1847, A separate fever hospital was built at the south-west of the site. A small block to its rear may have been used as an isolation ward. A graveyard was located to the north-west of the workhouse. 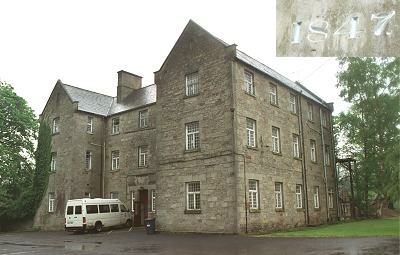 The workhouse later became Cavan County Hospital, and then St Felim's geriatric hospital. Cavan County Library, Farnham Street, Cavan, Co. Cavan. Holdings include: Board of Guardians' minutes (1845-1920); Indoor admission and discharge book (1881-84). Detailed list.